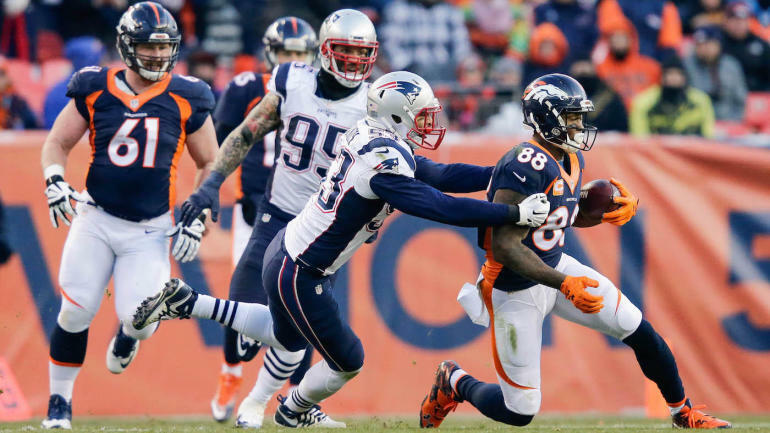 After failing to complete a trade for him at last season’s trade deadline, the Patriots have finally acquired longtime Broncos receiver Demaryius Thomas. As first reported by ESPN’s Field Yates and later confirmed by the team, the Patriots signed Thomas on Tuesday. NFL Network’s Ian Rapoport reported that Thomas secured a one-year deal worth up to $6 million. The move reunites Thomas with Patriots offensive coordinator Josh McDaniels, who drafted Thomas during his brief and unsuccessful stint as the Broncos’ coach. After becoming the 22nd overall pick in 2010, Thomas went on to catch 665 passes for 9,055 yards and 60 touchdowns during a 9.5-year run in Denver before getting shipped to the Texans at last season’s trade deadline. At the time, the Patriots reportedly tried to make a move for Thomas, but were unable to reach an agreement with the Broncos. Thomas’ time in Houston didn’t go well, though, and his season ended with a ruptured Achilles that he suffered in December, which explains why he went unsigned until now. The Texans released him in February. Thomas is now a 31-year-old veteran entering his 10th season in the league coming off both a down season and a serious injury. Expectations shouldn’t be high given his age, declining production, and recent injury. That being said, Thomas has landed in the perfect situation. Part of the reason Thomas struggled in recent years? He was paired with quarterbacks named Trevor Siemian, Paxton Lynch, Brock Osweiler, and Case Keenum. Thomas now gets to play for Tom Brady. If anyone will be able to maximize his skillset, it’s the Patriots. In that sense, this is a classic Patriots move. They’re buying low on a formerly great receiver who is at the lowest point of his career. Would anyone be surprised if Thomas becomes an important member of the Patriots’ offense? Plus, the Patriots had/have a clear need at receiver after losing Rob Gronkowski to retirement and Josh Gordon to yet another suspension. Julian Edelman can’t do it all. The Patriots needed to bring in additional bodies at receiver and in Thomas, they’re getting one who has the potential to become Brady’s top target. At worst, he represents depth at the position. That doesn’t mean the move is guaranteed to work out, but it is a move that makes sense for both parties. Thomas gets to spend a prove-it season in the best possible situation and the Patriots addressed a hole on their roster with a high-reward kind of player.